Listen, take this for what it's worth, because I'm a know-nothing amateur. I really like the first image. I especially like how you saved detail in the snowy mountains. What follows may be purely a matter of personal taste. The kind of black-and-white images I gravitate towards have more contrast in them, gray doesn't feel like it dominates the image. 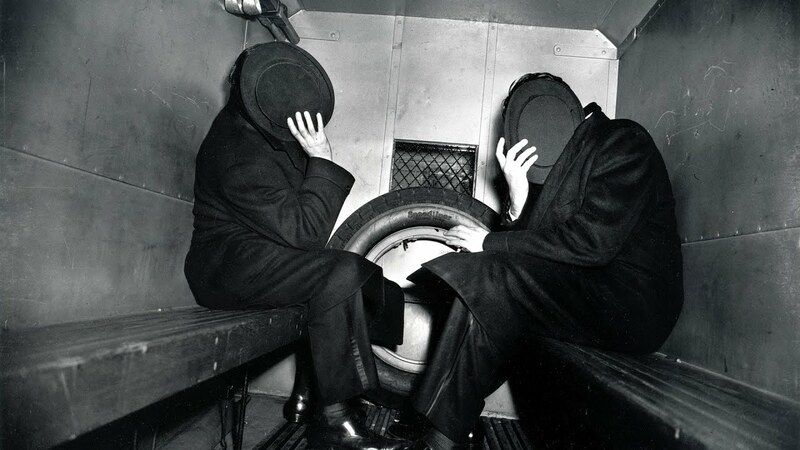 Just as an example, an image like this from Weegee rings my bell. You may feel that something like that is completely inappropriate. You may hate everything I just wrote and hate me for it! But I thought I'd share. It really is a lovely scene, though. Thanks, wxwax, appreciate the input. Cheers. I love them all but that's my fav. Why is so much of the foliage so white? It almost looks like it was taken as an infrared photo. Hi Chris, Tranquility was processed to B&W using Skylum's Tonality CK, and it has a profile caled "Greek Nights" that renders foliage as if it were shot as an IR photo. Cheers. Interesting! Sounds like I need to spring for $49 right now and get some of that Greek Nights goodness.